“Authenticity is an absolute must..."
My name is Gina Maddi and I'm the Grubhub territory manager responsible for restaurants in Chicago suburbs. We've had multiple customer requests to put your menu up on our platform, so I wanted to reach out and talk to you for a few minutes about sending you new customers and more orders. If needed, we can also provide delivery. 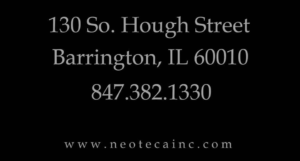 Wandering into Neoteca in Barrington one early morning the founder of this Hough Street restaurant was nowhere to be found while a pot of beets simmered away on a stove. Sorrentino focuses on the Neopolitan foods of the Campagna region of Italy. It’s a place he knows well, having lived there during childhood. When discussing his menu Sorrentino emphasizes that he gives his “mom all the credit,” adding that he planned to talk to her about preparing fresh octopus for a potential new dish. “Authenticity is an absolute must. We source as much as possible fresh locally and do a lot of importing from Italy.” While Neoteca offers a variety of dishes – pastas, sandwiches, salads, appetizers and entrees – the restaurant’s heart and soul is pizza, made from scratch and delivered bubbling hot from a wood-fired oven burning locally-cut cherry, hickory and oak. Barrington’s Neoteca is a wine and pizza bar, and stays faithful to that Italian denotation with their menu — offering a selection of pizzas (with red sauce or with olive oil sauce), three types of pasta, appetizers, salads and two other types of bar: bruschetta and salumi. A full bar, although with a wine focus, augments the food and list of traditional Italian desserts. A selection of Neoteca’s most expensive wines head into the Cuvenee System. It’s essentially a wine chiller that, while keeping the wine cool, replaces oxygen in open bottles with nitrogen gas to stop the wines from oxidizing and going bad. 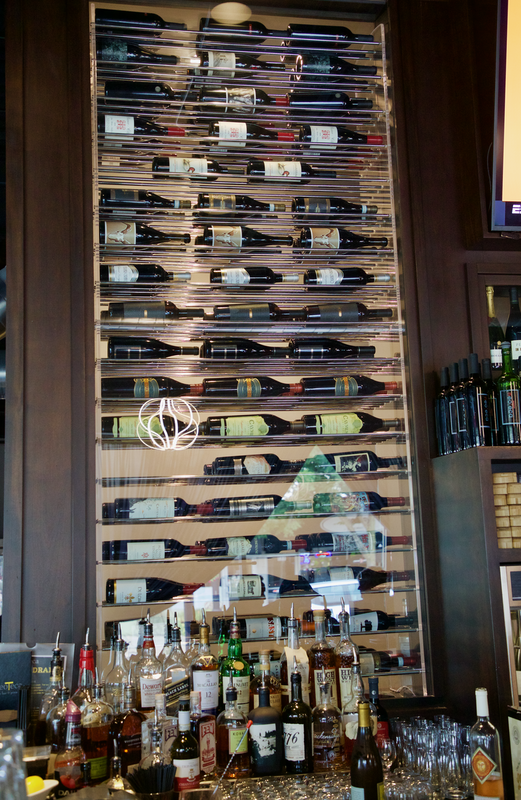 Each wine in the Cuvenee System is marked by a corkscrew icon on the menu. 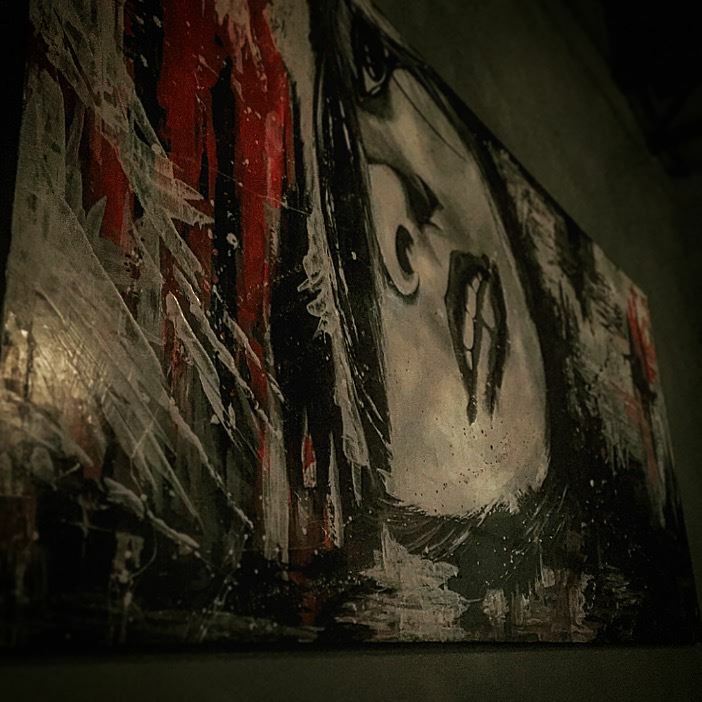 The design aesthetic inside the restaurant is as modern as the wine system, with dark colors, velvet couches, large-scale art, unique light fixtures and house music pumping throughout the space. Give me a 600-day aged prosciutto & roasted peppers salad, a wood-fired Bianco Neapolitan pizza and a big glass of Nero D’avola. Served in minutes and all for under $35. Neoteca is my happy place when I don’t want to cook and my fridge is bare. You know the old adage when you drop by the home of an Italian. Nonna will say “Have you eaten? Let me fix you a little something”, and out pops plates of wonderful cured meats, aged cheese, bruschetta, olives, marinated artichokes, fresh gnocchi with homemade sauce, and a pizza made with dough from last night. At least that is what my Mom would have served. 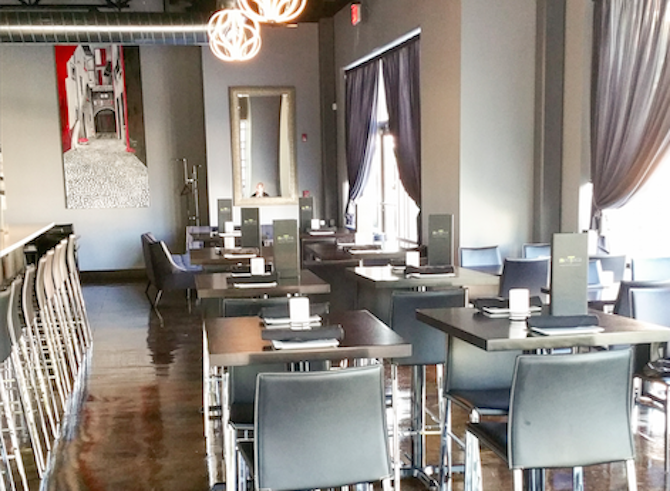 We’re hearing rave reviews about Barrington’s hottest new restaurant, Neoteca Pizza and Wine Bar! 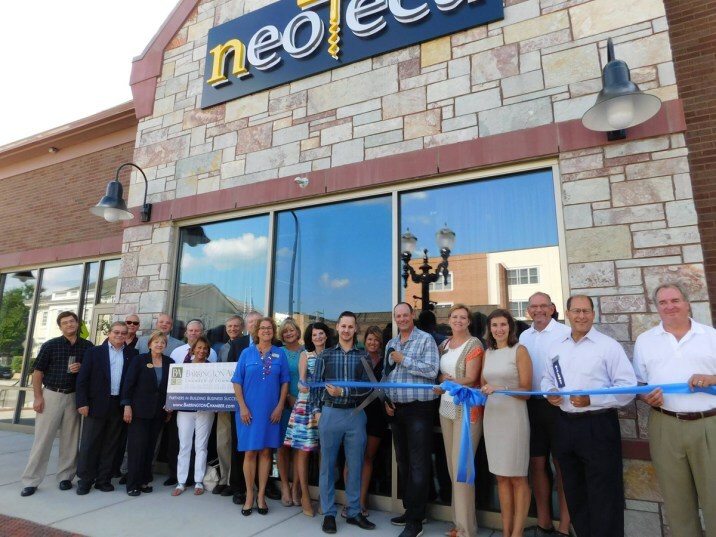 The Barrington Area Chamber of Commerce joined Village of Barrington officials in welcoming Neoteca with a ribbon cutting ceremony on July 26th. 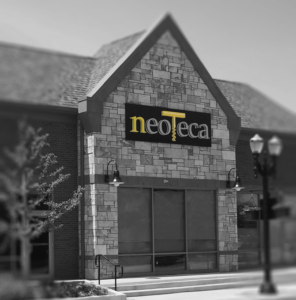 Guests were invited to sample Neoteca’s menu and celebrate the latest restaurant to open at Barrington Village Center. Just 2 blocks west of the Barrington Metra Stop. Located at the corner of Station St. & Hough St. in beautiful downtown Barrington, IL. 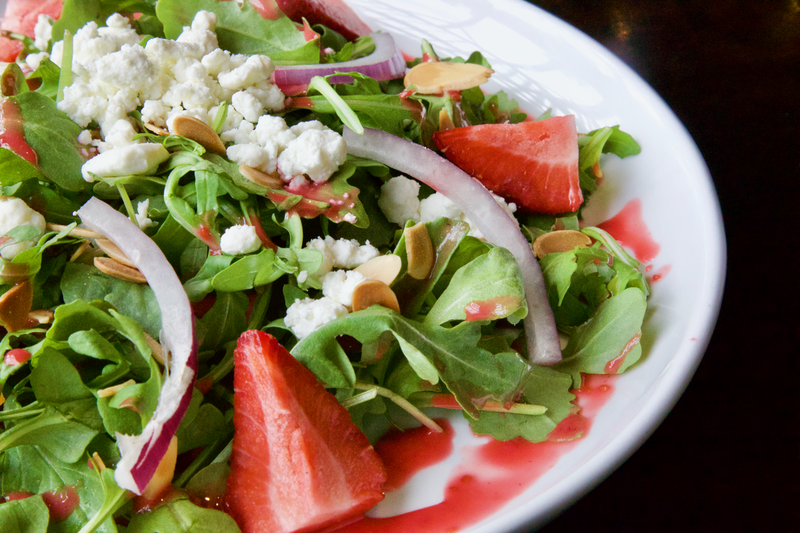 Neoteca features wines, craft beers, brick oven pizzas, a salumi bar, and fresh pasta.